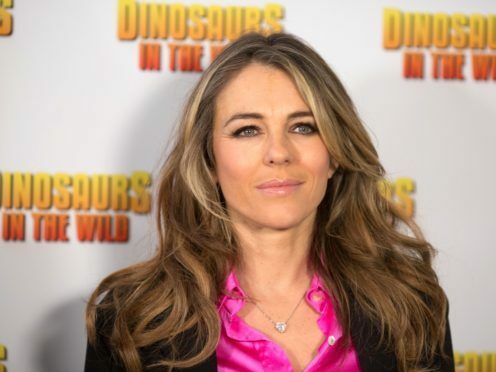 The nephew of actress Elizabeth Hurley has taken his first walk since being stabbed two weeks ago. Miles Hurley, 21, was hospitalised after he and a friend were stabbed following a minor road crash in south-west London on March 8. On Friday, Mr Hurley shared a picture on Instagram, in which he stood in front of a leafy, outdoor backdrop. “R & R with the boys, first walk in 2 weeks,” he wrote in the caption. Earlier this week, his famous aunt tweeted a graphic picture of the knife wound in his back on Twitter. In another post, she revealed that the five men who attacked Mr Hurley – who lost four pints of blood from the stabbing – had also tried to stuff him into the boot of their car. Mr Hurley and his friend, also 21, were driving along Wandsworth Road in a beige Fiat 500 when they were involved in a minor crash with a black hatchback. A row broke out and led to a high-speed chase, which ended in Ascalon Street when both groups got out of the cars and the model and his friend were attacked. Under the heading “Let’s find these vicious knifemen and make our streets safer” Hurley said on Twitter: “The victims drove to Ascalon Road, and got out of their car. Scotland Yard previously released a CCTV clip of the black hatchback, which had blacked-out windows, that they are trying to trace. Detectives are appealing for anyone who saw either the beige Fiat 500 or black hatchback on Wandsworth Road and in the Patmore Estate at about 8.45pm on March 8 to contact them. The driver of the suspects’ car was white or mixed race, aged in his early to mid-20s, 6ft, well-built and with a shaved head and stubble. He was wearing a navy blue tracksuit. His passengers were all young black men, police said. Detective Constable Simon Monga said: “This was a violent and unnecessary attack. A minor traffic collision has resulted in two men being stabbed. It is only by sheer luck that their injuries are not more serious.